Waterlogged pitches means virtually all sport is postponed today. Institute’s Irish Cup tie against Newtowne has been postponed, like a host of other games today. The pitch at Drumahoe was waterlogged and failed a pitch inspection, while City of Derry’s encounter against Rainey OB, at Judges Road, was also called off this morning. 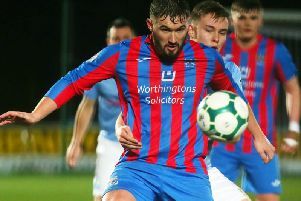 All North West Junior football matches were called off, while Limavady United’s trip to Larne in the Irish Cup was also postponed.